The sudden death of Mr. Andrew Hudson of 8 Alfred Street, Wantage cast a gloom over the town and district, for he was a well-known and respected inhabitant. 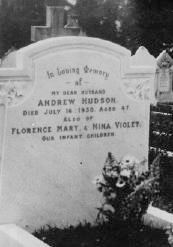 Mr. Hudson was only 47 years of age and was a native of Wantage, being a son of Mrs. Hudson of Style's Almshouses, and the late Mr. Henry Hudson, who celebrated their diamond wedding in 1924. After leaving school he worked for Mr. Goodale in the shop in the Market Place now belonging to Mr. W. Wickens. He went to work at Wantage Post Office as a messenger in 1897 and was made assistant boy in 1897 and assistant postman in 1899. He was appointed rural postman in 1902 and in April 1929, on the retirement of Mr. Harry Fidler, succeeded him as head postman. For a number of years he was the Wantage secretary of the Postmen's Federation. Mr. Hudson of recent years had been a town postman - Newbury Street and Priory Road in particular, but previously he has done the rural round in Fawley and the one to Hanney. He was always of a genial disposition and popular with his fellow workman as well as with the townspeople in general. From a boy he was a chorister at Wantage Parish Church where his father used to be verger. He took an interest in town affairs and was a trustee of the Court Crown of Old England (Wantage District Ancient Order of Foresters) and was also a member of the King Alfred Lodge, R.A.O.B., G.L.E. A keen follower of football, Mr. Hudson held the office of hon. 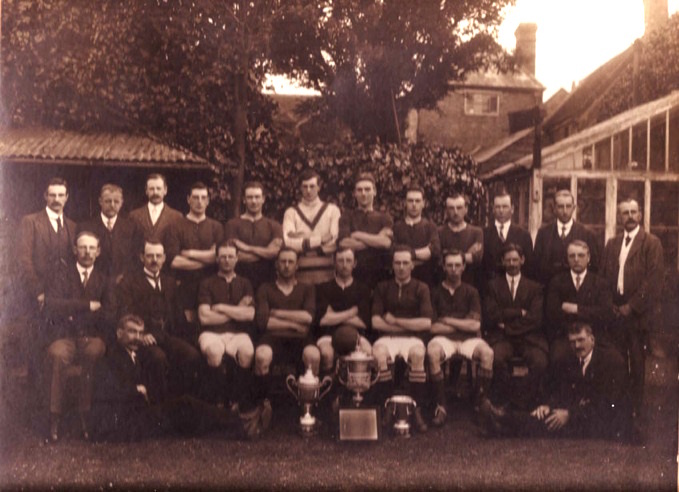 treasurer of the Wantage Football Club for several years, being succeeded in 1925 by the present hon. treasurer, Mr. W.J. Higgs. He served in his Majesty's Forces during the Great War, from 1915 till January 1919, first in the Durham Light Infantry, and later in charge of an ammunition store with the Labour Corps in France. The funeral took place at the Cemetery on Saturday afternoon, the service being conducted by the Vicar (Rev, A. Gossage Robinson). A short service was held in the cemetery chapel and at the graveside the hymn, "Thine for ever, God of love" was sung. The mourners were Mrs. Hudson (widow), Mr. Edward Hudson (son), Mrs. H. Hudson (mother), Mr. Tom Hudson (brother), Mrs. Barlow (sister), Mr. T. Barlow (nephew), Mr. F. Byford (brother-in-law), Miss Irene Byford (niece), Mrs. Hayden (mother-in-law), Mrs. Lowe (sister-in-law), Mr. W. Hudson of Swindon (nephew), and Mr. and Mrs. J. Tombs. Amongst others present were Rev. C.M.M. Jotcham (Compton), Mr. A.E.C. Mielke (churchwarden), Mr. O.S. Walter, Mr R.W. Roberts, Mr. J.A. Nichols, Mr. and Mrs. J. Lamb, Mrs. Robinson, Miss V. Wheeler, the Misses Sawyer, Mr. F.Dance, Mr. D. Murray, Mr. F. Cross, Mrs. A.T. Evans (Manor Farm, Charlton), Miss Haines, Mrs. Ware, Mr. H. Mays, Mr. G.Johnson, Mrs. Green, Mrs. Vincent, one of the Wantage Sisters. Messrs. W.J. Avery (organist), R, Moir, F.W. Underwood, G. Williams, H. Gregory, F.G. Jarvis, G.W. Glover, I. White, G. Seymour, D. Moir, and C.E. Hodges (representing the Wantage Parish church choir). The Wantage Post Office was represented by Messrs. C. Greenaway, F. Waigar, E. Rolls, E.Matthews, A. Shepherd, L.Collins, and W. Browning (postmen in uniform), Mr. H. Fidler (a late head postman), Mr. A Giles and Messrs. L,A. McInnes (overseer), A. Dowse and F.W. Faulk, of the Indoor Staff at Wantage post office, also the boy messengers P. Ferris and J. Kearvill. The Ancient Order of Foresters Court Crown of Old England (Wantage District) wearing regalia were represented by Bros. T. Symonds, C.R. , W. Kidd, P.C.R., G.W. Stevenson (secretary), H. Fidler, P.C.R., J. Tyler, E.T. White, J. Greenaway, J. Green, E. Gregory, C. Gregory, J. Warner, G.Giles, W,H, Cole, W.J. 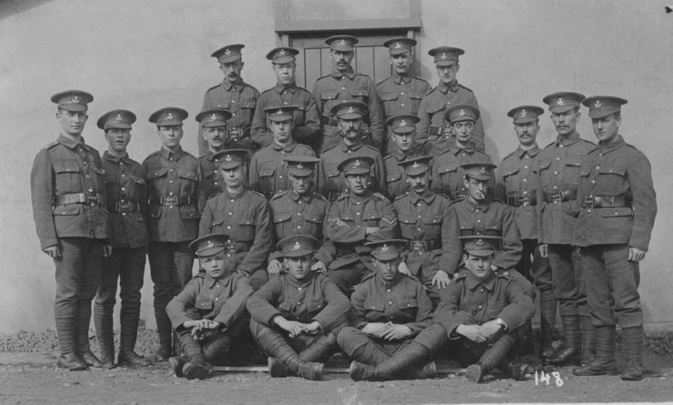 Talboys, P. Wheatley, John Hewitt, Walter Gregory, Frank Beechey, G. Higgs and G.E. Payne. The King Alfred Lodge (R.A.O.B., G.L.E.) was represented by Bros. A.V. Merritt, W.J. Higgs, A.J. Collins, C. Wallis, H. Humphries, H. Coward, C. Cox, G. Cox, G. Lane, S. Page, H.A. Glavsher and P.E. Simmons. The pall bearers were six of his postmen colleagues in uniform - Messrs. W. Boucher, H. McMuller, F. Faulder, W. Pullen, R. Ward and F.H. Rose. There was a profusion of floral tributes including wreaths from the Post Office staff, Parish Church Choir, the Foresters, and the R.A.O.B. A muffled peal was rung by the Wantage Church bellringers after the evening service on Sunday.